Viknesh Vijayenthiran October 21, 2015 Comment Now! There’s a new race series called the Touringcar Racer International Series (TCR) that held its inaugural season this year. With its low cost of entry and low running costs, the series is aimed at enthusiasts and up-and-coming drivers and features cars with only around 300 horsepower. 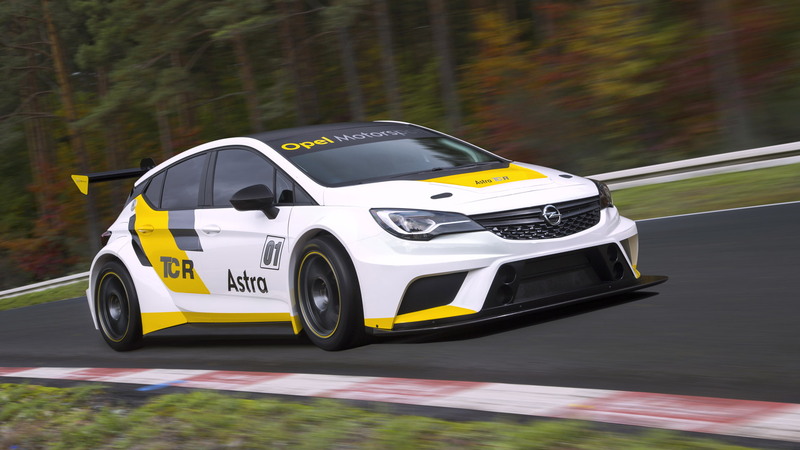 Previously we saw a Volkswagen Golf TCR racer and now we have one based on the latest Opel Astra hatch. 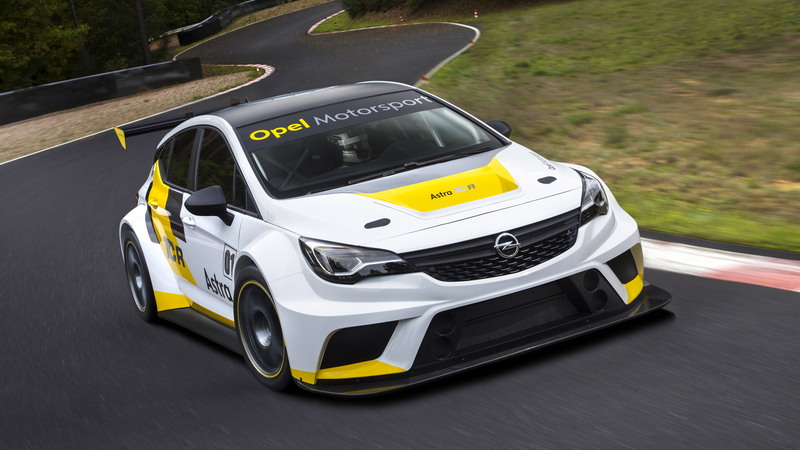 The Opel Astra TCR remains close to the production model but most of its comfort amenities have been stripped away and replaced by reinforcements designed exclusively for days at the track. The vehicle weighs just 2,645 pounds, and its turbocharged 2.0-liter four-cylinder engine delivers 330 horsepower and 310 pound-feet of torque, with both figures determined via ‘Balance of Performance’ rules. Drive is sent to the front wheels via a six-speed sequential transmission with the paddle shifters located on the steering wheel. The car also benefits from a powerful braking system consisting of six-piston calipers up front and two-piston calipers at the rear. According to Opel, the system is designed so that the driver can modulate the braking balance from the cabin. 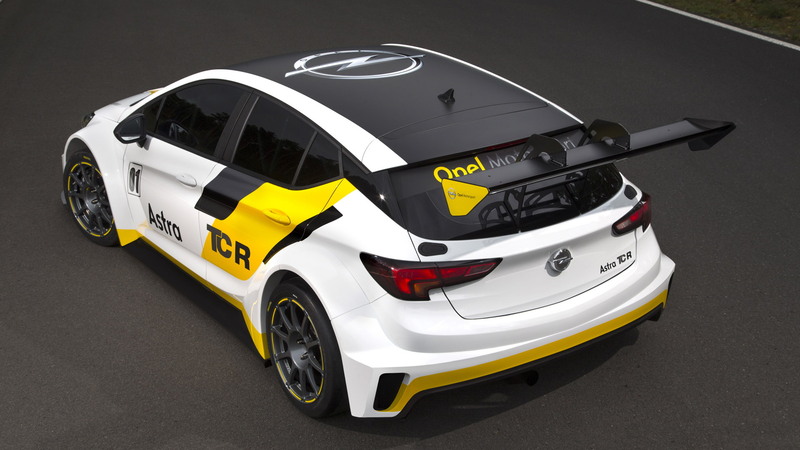 Much of the aerodynamic features, which include an adjustable front splitter and rear spoiler, are standard components and identical on all TCR vehicles in an effort to keep costs down. Electronic assistance systems such as ABS and ESP are also not permitted. 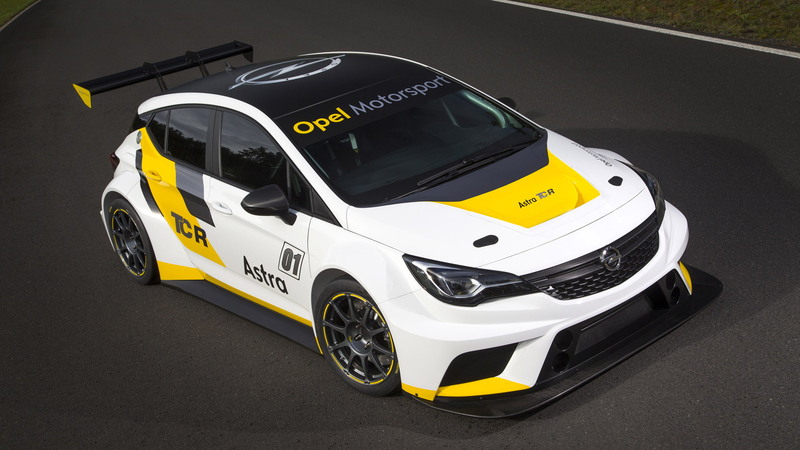 The Astra TCR has been developed in close cooperation with longstanding Opel motorsport partner Kissling, based in Bad Münstereifel, Germany. 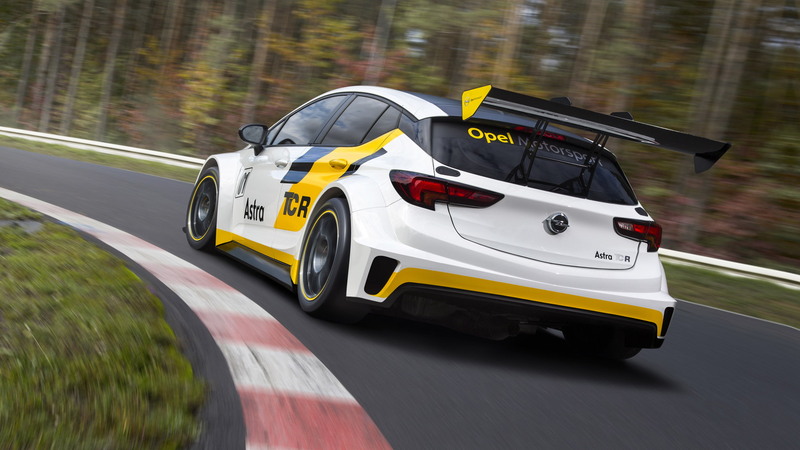 Final testing will take place later this month and the first customer examples should be delivered next February ahead of the start of the 2016 TCR season. Pricing for the car starts at 95,000 euros (approximately $107,900).